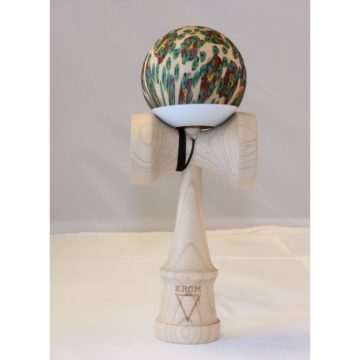 The F3 Crayon features a glossy white Tama paired with a two-color aTack fade painted Ken. 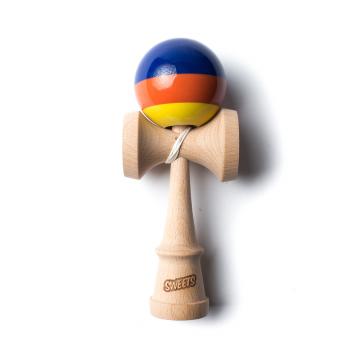 The paint on the ken paired with the glossy tama makes for a very fun combination. We love these setups for birds and stilts. The spike is left unpainted for a natural spiking feel and sound. 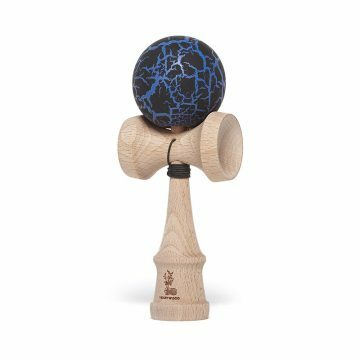 *Note: the painted ken is prone to leaving colored marks on the white tama, hence the name “crayon” All F3 Kendamas come boxed with an extra string, bead instruction manual and stickers.